Acrylic paint has a thick creamy consistency. Colors are intense and remain bright, permanent and flexible when dry. Paint doesn’t settle, stays suspended. Colors dilute well in water. 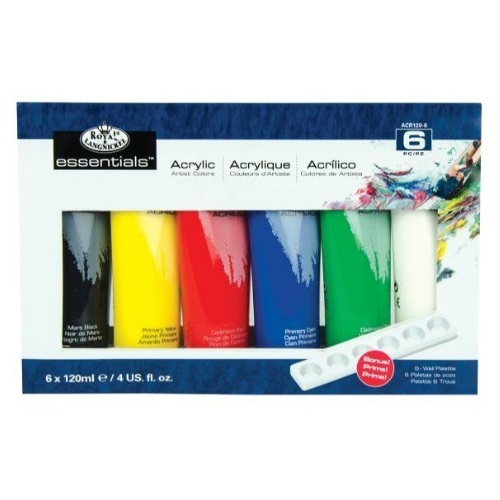 Colors are inter-mixable; can be used with most acrylic mediums and other brands of paints. Ideal and safe for educational use. Perfect blend of quality, value, and dependability.